The Cuban chanteuse Omara Portuondo hosted a Grand Fiesta at NJPAC last Saturday. Decked out in colorful regalia, vibrant and looking younger than her 85 years, she celebrated her birthday and an illustrious career in one fell swoop. Just in case you are wondering, Omara is a consummate show-woman, who has lost none of her sassiness or coquettishness. And, she can still belt out a romantic bolero that will bring you to tears. 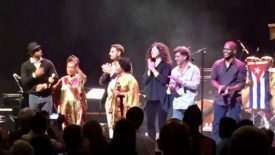 Also, virtuoso violinist Regina Carter and the soulful clarinetist Anat Cohen, who accompanied Omara brilliantly and, whose solo efforts brought the audience to their feet on more than one occasion. The repertoire consisted of nostalgic Cuban standards – Siboney, Quizas, Quizas, Quizas, Guantamera – among others. High points included Omara’s interpretation of an Elena Burke classic, a contemporary interpretation of the Cuban lullaby, Drume Negrita, and a segment where Fonseca and the band played a jazzy, improvised piece that electrified the room. For those who are new to Omara, her inclusion in the Buena Vista Social Club did much to enhance her international profile and possibly, extended her career (she is the only living female member) but for the diva, who began performing 70 years ago at Havana’s famed Tropicana club, the Buena Vista chapter is a high note in a career that has seen her work with stars such as Nat King Cole, Herbie Hancock, Edith Piaf and Chico Buarque. 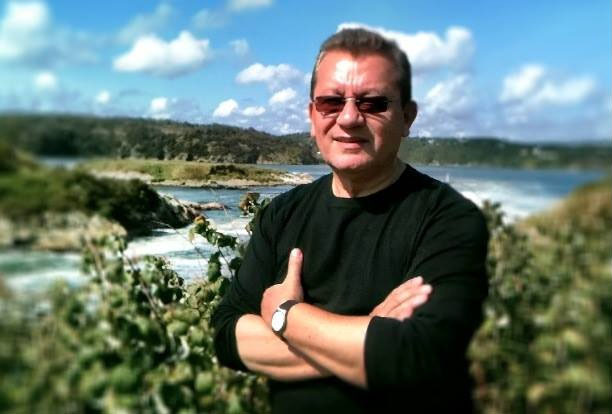 Currently, Omara is nominated for a Latin Grammy for Canciones de Cri Cri “El Grillo Cantor,” an album of songs for children recorded on Havana’s Bis music label, which is as yet unavailable in the U.S. Naturally, age is a factor (she will be 86 next month) but it’s not in Portuondo’s nature to go quietly. “I’m not a little girl anymore,” she said recently, “but I feel like one.” And, for all intents and purposes, she still sounds like one. While her sister went into exile in the U.S., Omara remained in Cuba, lending her vocal talents to numerous bands, as well as cutting several albums. Ry Cooder met her in Havana before the sessions for Buena Vista, and the following year, during the legendary sessions, Omara happened to be recording at EGREM Studios at the same time. Cooder immediately enlisted her for the project, setting up her memorable collaborations with Ibrahim Ferrer and Compay Segundo. 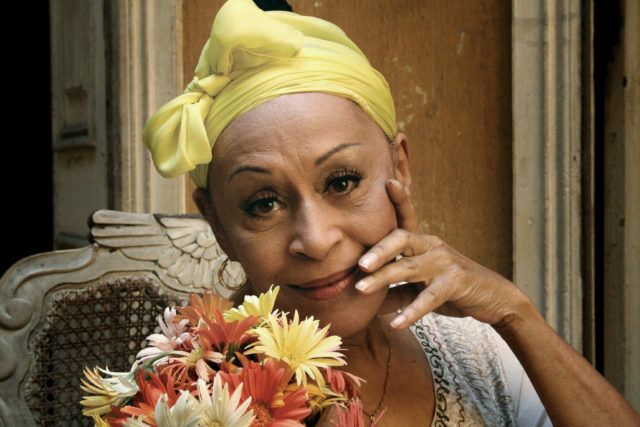 Because of the success of the Buena Vista projects, Portuondo has had a hectic, international touring schedule, but she also continues to perform at her favorite spots in Havana. (Source: PBS).